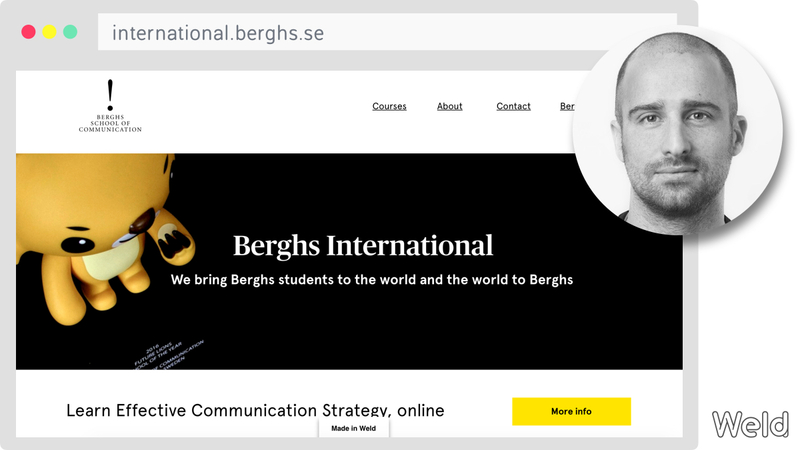 Berghs School of Communication is Sweden’s top school in communication and advertising, winner of Future Lions School of the Year 2014-2016. When Weld was approached by Marco Ortolani, Director of International Programs at Berghs, we were of course excited. Marco sketched out the site and assembled a team with members from Berghs, Weld, and Andreas Sandin – an independent consultant.